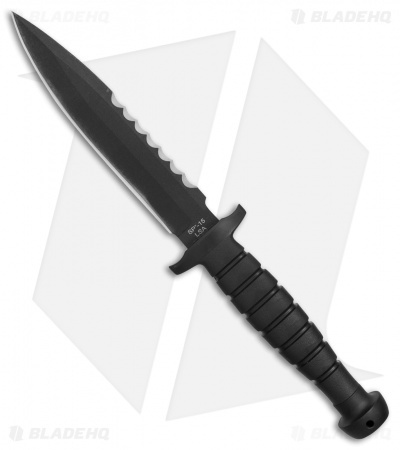 Take your tactical game to the next level with the Ontario Spec Plus SP 15 LSA Fixed Blade Knife. 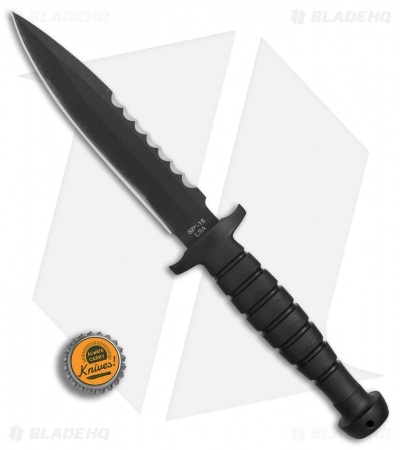 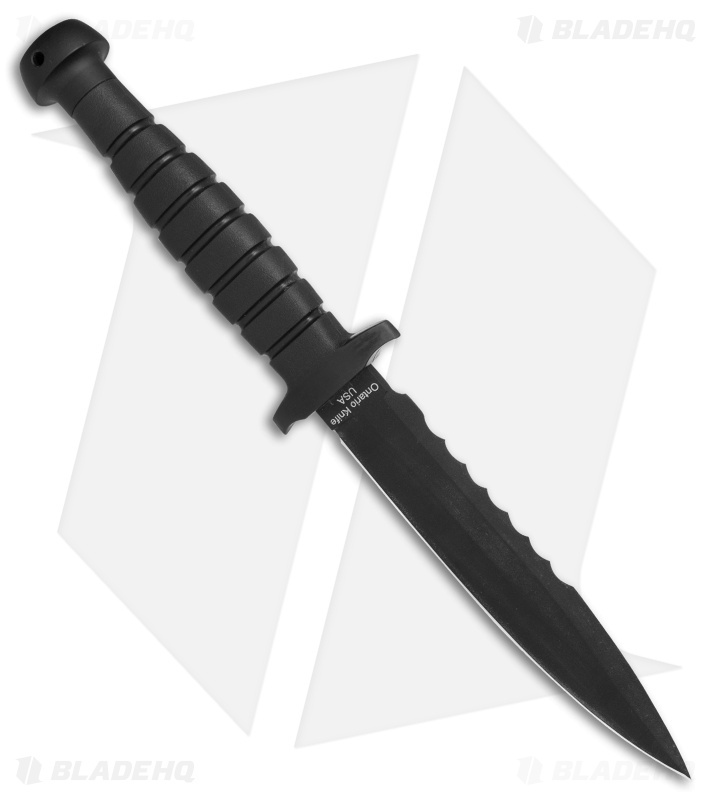 The SP 15 offers a tactical design with a large spear point blade coated in a durable black epoxy powder finish. It's equipped with a Kraton handle that provides comfortable ergonomics and a rubberized grip. The handle is rounded to fill the hand perfectly and features a full-guard for safe and secure use. 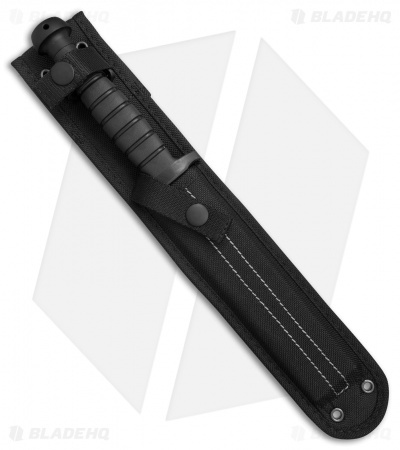 Item includes a MOLLE compatible heavy duty nylon belt sheath.